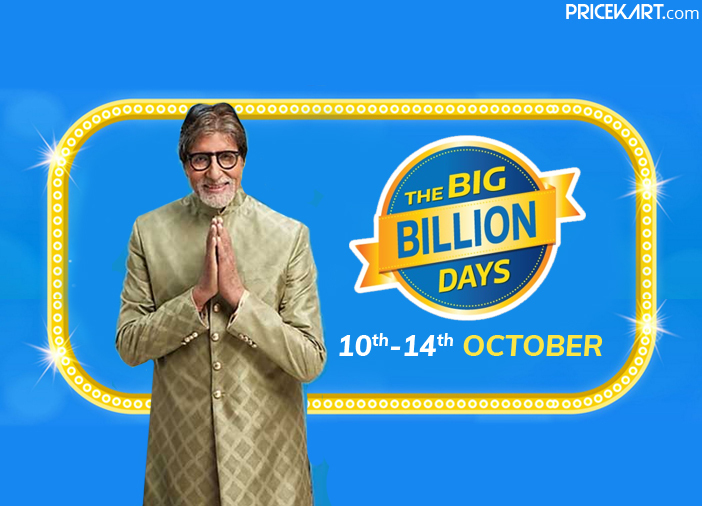 The Flipkart Big Billion Days Sale kicked off this morning. It is the season of sales, and if you have been waiting for the right time to shop, then this is your chance. The Sale which started from October 10 will go on till October 14. During these days, Flipkart will offer incredible deals, discounts and offers on over millions of products. You can shop across categories like mobile phones, electronics, home appliances, home furniture, fashion, and lots more. Users can avail up to 90 per cent off on fashion, up to 80 per cent off on TV and home appliances, up to 80 per cent off on smart devices and 50-90 per cent off on home and furniture products. Though the sale has already commenced, you will have to wait for a day to shop for smartphones and electronics. The products from the smartphones and electronic devices category will only go on sale on October 11. 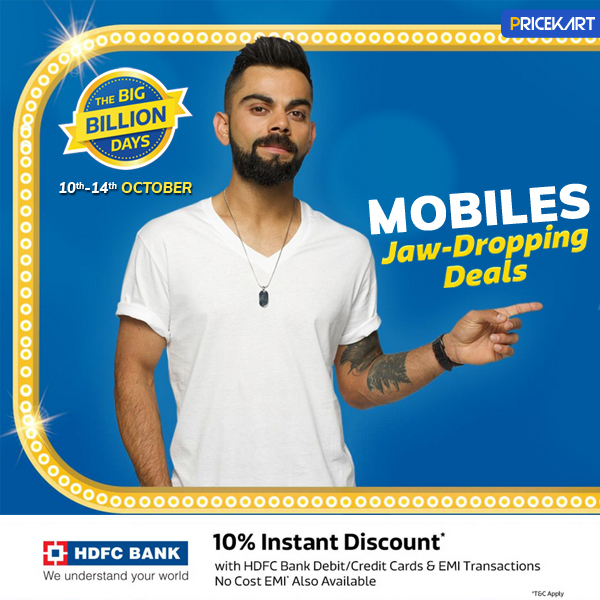 So, without further ado let’s dive into the best deals from the Flipkart Big Billion Days Sale that you shouldn’t miss. 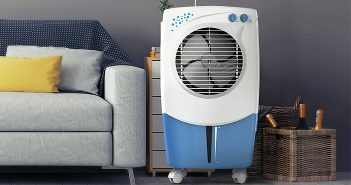 Flipkart is offering a lot of interesting deals and offers on the small home appliances of your choice. You can grab deals on appliances such as juicer mixer grinders, water purifiers, hand blenders, irons and much more. For the home appliances category, Flipkart is offering a ‘Budget Bazaar’. This bazaar has prices that will steal your heart. In this budget bazaar, you are offered products with a minimum discount of 30% off, 40% off and 50% off. Furthermore, as for the offers on price, this bazaar offers products under Rs 599, Rs 999 and Rs 9,999. So, if you are looking for a discounted TV or a washing machine, an induction stove or a chimney, hand blender or a grinder – the budget bazaar has a lot to offer. MarQ by Flipkart 7.5 kg Fully Automatic Front Load Washing Machine – This washing machine comes with a discount of 55 per cent and is offered at Rs 14,999, from its original price of Rs 33,999. IFB 6.5 kg Fully Automatic Top Loading Washing Machine – This product comes with a price tag of Rs 14,999 after a discount of 18 per cent. Haier 6 kg Fully Automatic Top Loading Washing Machine – Grab this washing machine after a discount of 32 per cent at Rs 10,499 (original price Rs 15, 450). Bosch 618 L Frost Free Side by Side Refrigerator – From its original price of Rs 89,000, this refrigerator is available for Rs 60,540 after a discount of 31 per cent. 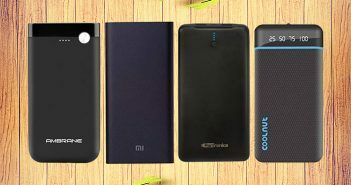 Apart from this, you have a wide range of Honor, Samsung, Xiaomi, Asus, Realme phones available on discount. Additionally, you can exchange your old device for a great price. If you are looking for something basic, keypad phones are starting from Rs 429. Flipkart will reveal more products at a discount price once the sale begins. Flipkart will start the sale on most of the gadgets and accessories from October 11. 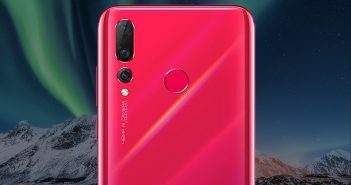 From October 11, products such as laptops, tablets, headphones, speakers, mobile accessories, cameras, and computer accessories will go on sale. However, products like smartwatches, home theatres, laptop bags, and smart speakers, are already up for sale. 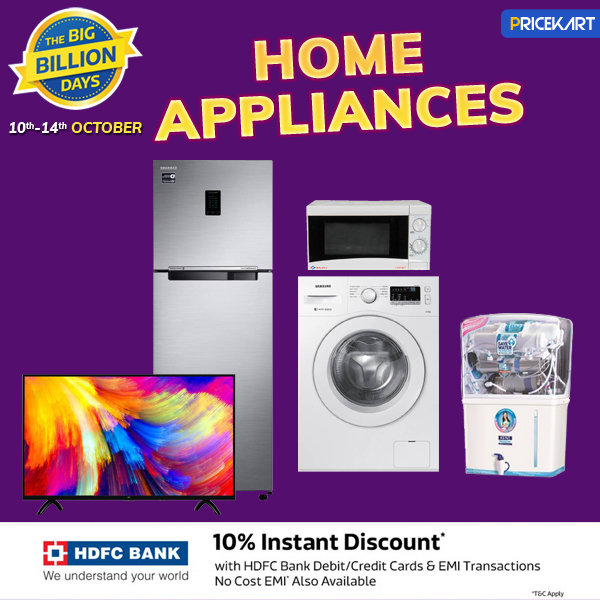 If you are looking for the best deals and offers, the Flipkart Big Billion Days sale is your time to shop. To make shopping more fun, Flipkart has joined hands with HDFC bank to offer credit card users no-cost EMI options. Moreover, users with Bajaj Finserv can also shop at no-cost EMI options on orders above 4,499. Additionally, HDFC credit and debit card holders are eligible to avail 10 per cent discount.